Tiger's Eye Unity Bracelet | Lucleon | In stock! Danish accessory designers at Lucleon have created this simple gorgeous bracelet. The single Lucleon signature bead is strung on durable elastic along with numerous tiger eye beads. This neutral bracelet coordinates with a wide array of ensembles. Fits most wrists. Bracelet of good quality and perfect size. My man is delighted, the pearls are really beautiful! Easy to order, relatively fast delivery. Overall, not the last time I place an order here !! The bracelet is very beautiful and quality. I did not expect less for the price. In all ways fully satisfied with the product. The tiger stones are even more beautiful than in the picture. Good quality, the stones are bright and stand out very well on the wrist! Very good product. Completely matches the description and the image. Nice product. Price ok. Comfortable to wear. Really trendy. Product is great. Have already ordered the 3rd bracelet. Very high quality. Comfortable to wear. Only the sizes ML XXL should be reconsidered. 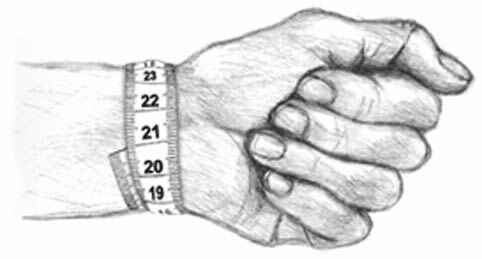 For example, my wrist circumference is 21 cm. I can not correctly read from the information which size I should order. And I find the phone conversations very good. You deal with the problems and you are helped. And very friendly. Greetings Raimund. It is beautiful, of great quality and better than we expected. Thank you. Beautiful bracelet! Gorgeous color play! You feel comfortable buying there. Beautiful bracelet, which seems solid. Fast shipping despite being abroad, the bracelet is perfectly as I imagine it! Satisfaction of all expectations !!! Good guys!!!! Very nice yes - BUT! This is only in ONE SIZE - There are 25 beads on + the small piece of metal - unfortunately, I need some of it to fit my wrist. In my case I should have 2 pearls off. We do not have the same wrist all together. Nice service and they switch without flashing.